Ruth Helen Patterson Pecora left this earth triumphantly and joyfully entered into the presence of her Savior on Thursday, January 31st, 2019. Ruth was born in Duval County Florida on April 27, 1922 to the late Ernest Brown Patterson and the late Ruth Beatrice Dyson Patterson. She spent her early childhood years in West Palm Beach Florida before relocating with her family to North Carolina. Her family made their home in Burlington, Graham and Durham, before putting down permanent roots in Chapel Hill. In 1941, she enrolled in the University of North Carolina at Chapel Hill, where she met and later married the love of her life, John Louis Pecora. After graduation from the School of Pharmacy in 1944, she became one of only seven licensed female Pharmacists in North Carolina. Her career perfectly blended her intelligence, her outgoing personality, her interest in people and her heart for serving others. She was a Pharmacist for fifty years, culminating with her retirement in 1994. Her devotion to her family and friends was only exceeded by her love for God and His church. 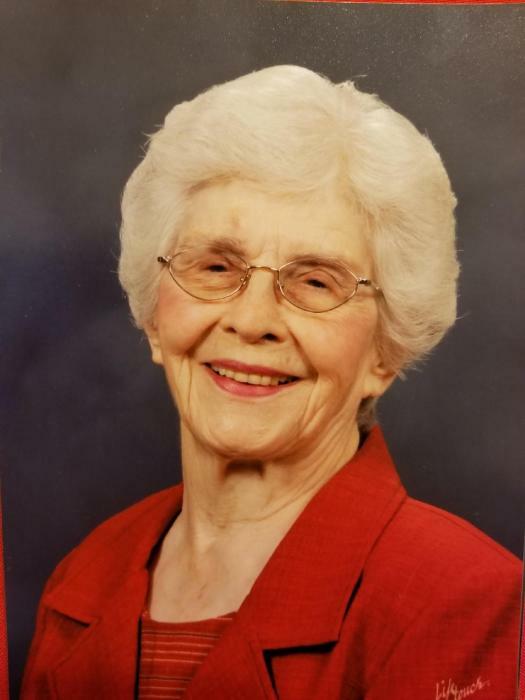 She was a faithful member of Raeford United Methodist Church from 1963 until 2012, when she left Raeford to live with her children. She leaves behind a lifelong legacy of tenacity, integrity, faithfulness and love. She was preceded in death by her husband, John Louis Pecora. She is survived by her brother, Robert Benjamin Patterson and wife, Sandra, of Peachtree City, GA; her sister, Jean Patterson Schonholtz and husband, Jim, of Colorado Springs, CO; her three sons, John Louis Pecora, Jr and wife, Carolyn, of Henderson, NC; Robert Patterson Pecora and wife, Sue, of Cookeville, TN; Ernest Silvio Pecora and wife, Tamra, of Myrtle Beach SC; daughter, Martha Pecora Norman and husband, Rick of State Road, NC, eight wonderful grandchildren, and three beautiful great-grandchildren. Visitation will be at Crumpler Funeral Services of Raeford on Saturday, February 2nd from 6:00pm-8:00pm. The Memorial Service will be held at Raeford United Methodist Church of Raeford on Sunday, February 3rd at 1:30pm with internment to follow at the Chapel Hill Memorial Cemetery on the campus of UNC Chapel Hill. In lieu of flowers, memorials may be made to Raeford United Methodist Church, 308 North Main Street, Raeford, NC 28376.